create an inviting and thrilling new series. Maya Dos Santos is a regular 19-year-old with an overly religious mother. She is thrust into the world of demons and the wielder of the Spear of Destiny. Patience is the last to hold the spear that once cut Jesus Christ himself. Whatever doubts she may have had about religion, Maya is forced to come to terms that she may be the next Magdalena herself. Howard and Cady create a fluid narrative, first with Patience then with Maya, that sets the story perfectly giving enough background on both important characters. The juxtaposition of the holy warrior of Patience with the skeptical and unsure Maya is striking but only proves that the bloodline lives on in the end. There's plenty of supernatural thrills that keeps 'Magdalena' a fun and gripping read. DiBari’s art leaves behind the legacy of the overly sexualized female form from 'The Darkness' past and delivers a more realistic aesthetic.The character designs are distinctive and practical with great body language and facial expressions that convey so much thought and emotion without a word. Mike Spicer's colors are muted but varied and give each the exact right tone. 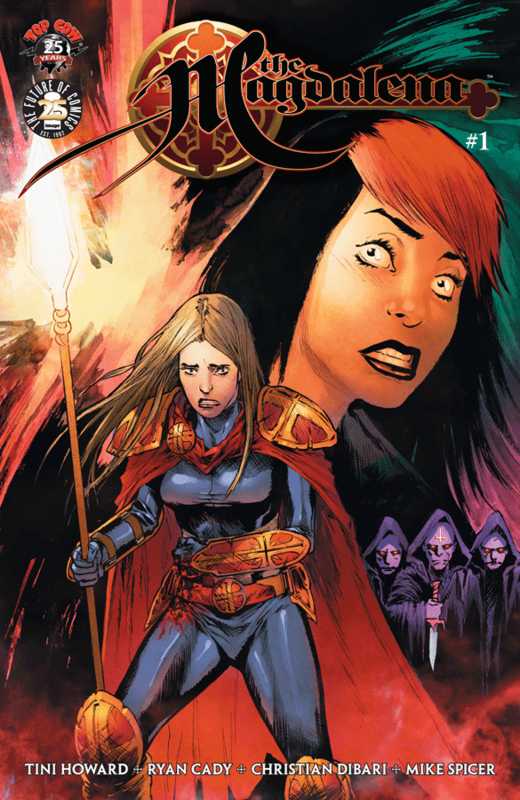 “The Magdalena” #1 is a great introduction for new readers and old ones into the world of 'The Darkness.' Patience and Maya provide a great duo of conflicting faiths but neither lacks the tenacity or courage to send demons right back to hell. It's a fun and dark story ripe for the taking.